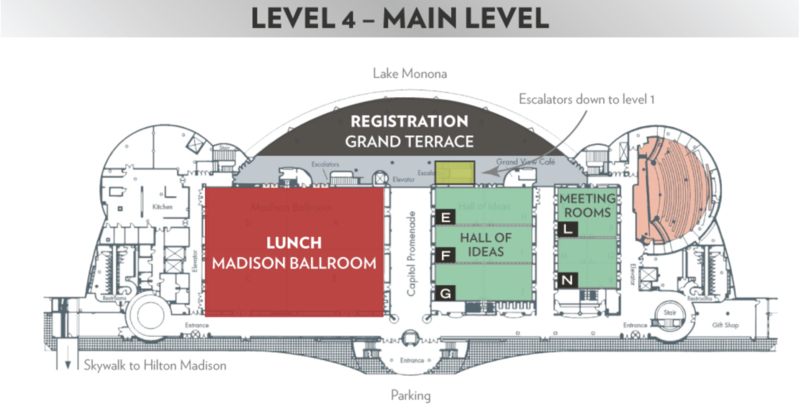 The 13th annual Nelson Institute Earth Day Conference will be held on Monday, April 22, 2019 at the Monona Terrace Community and Convention Center located at 1 John Nolen Drive on the shore of Lake Monona in downtown Madison, Wisconsin. Get driving directions from your point of origin. You will arrive at the John Nolen Drive entrance to the Monona Terrace parking ramp. Get biking directions on Bike Madison’s Plan Your Trip site. Enter 1 John Nolen Dr. as your destination. Visit Madison Metro’s Plan Your Trip site to get bus schedules from your point of origin. RIDESHARE brings commuters together for carpooling and bicycle commuting. It is a free service provided by the State of Wisconsin, serves all of Wisconsin and bordering counties in neighboring states (IA, IL, MI, MN). The program serves individual commuters who drive, ride, or bike, as well as employers to help improve air quality, reduce congestion, and provide ‘green’ alternative commuting options and programs. 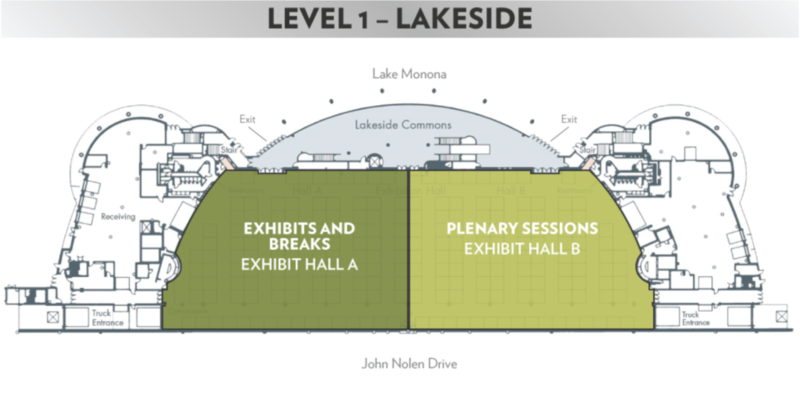 Click here to view the Monona Terrace parking map.